Teleclass series for sale: This Holiday ~ Empower Don’t Devour! This series involves Ondina Nandine Hatvany, MFT interviewing 5 experts in the field of food, weight and body image for tools and tips on how to deal with food and family stressors during the holidays. ~ This series will give you practical tools to empower you for the holidays so you can have truly happy holidays! A great gift for friends or family too! This series will be slanted towards the Health At Every Size Approach and will include an intuitive and mindful eating emphasis. Each class is 50 minutes long. 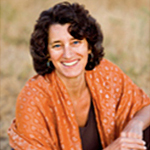 Elizabeth Scott, LCSW is the Co-Founder of The Body Positive (www.theBodyPositive.org) She has been practicing psychotherapy for twenty-four years, specializing in treating women and girls with eating and body image problems. Elizabeth trains student activists to initiate peer led eating disorders prevention programs in their schools and colleges. 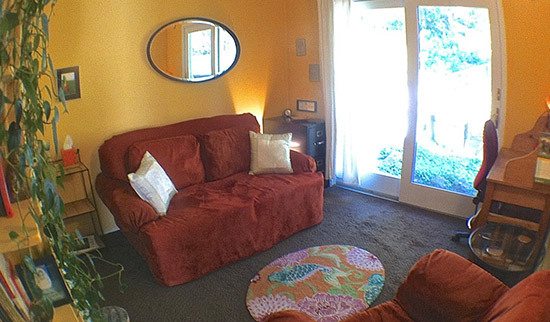 She provides training and supervision to psychotherapists who treat clients with eating and body image problems. The Marin County Board of Supervisors honored Elizabeth as a Public Health Hero in 2003 for her work preventing eating disorders in Marin. 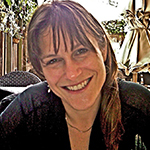 Details of Teleclass: In this teleclass listen to Elizabeth talk about the 5 competencies which includes concepts like cultivating fierce self love, declaring authentic beauty, cultivating an intuitive eating approach and building a supportive community. Also listen to Elizabeth work with one of the participants on how to deal with loneliness during the holidays and how to deal with the “I want more!” monster. 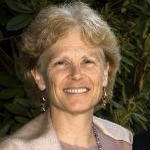 Linda Shanti McCabe Ph.D has been working in the field of addiction and eating disorder recovery since 1999 in hospital, residential, and outpatient levels of care. 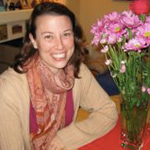 Currently she works at La Ventana and the Association of Professionals Treating Eating Disorders (APTED) clinic. Along with using expressive arts to re-image the body, her most recent passions include SoulCollage and being “Recovery Mama.” To read more about Linda or see her blog, go to www.DrLindaShanti.com. Details of Teleclass: Dr McCabe gives some very practical tools to avoid being distracted and hijacked into more suffering by the ED/ Critic voices. She offers empowering tools for the holidays, which include bringing in “the fierce Compassionate/ Recovery Voice.” In closing she talks about the ‘SoulCollage’ workshop she offers in San Francisco, which provide a creative approach to working with the above. Details of Teleclass: Dr Brenner-Liss shared her own personal struggle with ED and what had worked for her in her recovery. This includes “wrapping arms of compassion around myself and reassuring myself.” Deborah says the important thing is to figure out how to be in alignment with yourself in the most gentle and nurturing way possible. You can only be where you are in your recovery and take it one day at a time. She emphasizes the importance of connecting with yourself as a way to also connect with others and turning the shift of focus from food as a primary source of comfort to comfort in relationships with other people. 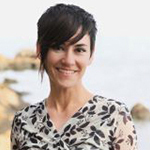 She gives some practical tools you can use in the moment to connect with yourself and also emphasizes recovery in community. Finally she talks about how to use visualization and positive affirmations as tools towards empowerment for the holidays. How to deal with other people’s attention on my body? How to be ok with eating more than I think I should? Bridget stresses the importance of having a concrete plan in place for the holidays in order to avoid falling into negative patterns around food, weight and body image issues. This plan can also include strategies for approaching food and getting a support buddy in place. Bridget emphasizes that these plans are very personal and that they must be concrete. Spending some time and getting support in devising the best possible plan for yourself this holiday can be a powerful tool towards recovery. Bridget also encourages and embraces the concept of full recovery; that it is possible and the importance of striving for it. Details of Teleclass: Jamie talks about the importance of giving your body what it needs over using will power. If the brain and body are in balance they will work with you instead of seemingly against you. She talks about the importance of “radical self care” which includes getting enough sleep, keeping your blood sugar balanced and creating a supportive community. Jamie talks about how to practice mindful eating by getting your brain on board. It is easier for the brain to stay present if it has the proper nutrients and is chemically balanced. Jamie also talks about how acupuncture can help with creating better balance in the body and mind.